Cyprus' finance minister said Friday he'll leave the post he's held since 2013 by the end of the year, insisting that the findings of an inquiry that partly blamed him for the demise of one of the country's banks had no bearing on his decision. Georgiades said it was time for him to move on after nearly seven years at the post and defended himself against the inquiry's findings which he called both "mistaken and unfair." He said he still has the full backing of Cypriot President Nicos Anastasiades amid opposition party calls for his dismissal and that under his stewardship, the Cypriot economy has rebounded strongly. Anastasiades said the inquiry had no real grounds to apportion blame to Georgiades for billions in bad loans that accumulated at the Co-operative Bank over the decades before his government came to power. 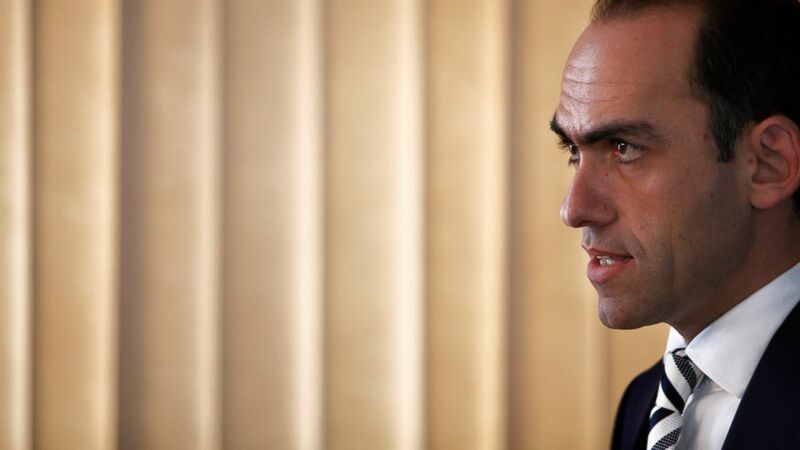 Georgiades, 46, was appointed to steer the Cypriot economy in the immediate aftermath of a multibillion-euro rescue deal that Cyprus was forced to accept after a banking crisis nearly bankrupted the country. The inquiry faulted senior executives for bad judgment, inaction and ineptitude in dealing with the Co-op's bad loan portfolio and pointed to Georgiades' "heavy burden of responsibility" for not firing executives and for the bank's "mistaken course" in efforts to have it return to private hands. The government became the Co-operative bank's majority stakeholder with a 1.5 billion-euro ($1.7 billion) bailout as part of the 2013 rescue deal. Georgiades said selling off a bank that was once venerated for helping generations of Cypriots build homes and set up businesses ultimately became "obligatory" because of its bad loan burden.